Marama is a 13 year old girl. Marama has 6 brothers and sisters. 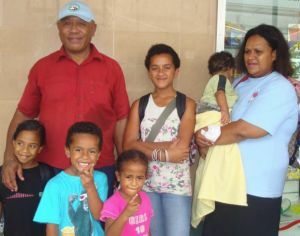 Her father was with Fiji's peacekeeping forces in the middle east where he was badly injured by shrapnel. He is unable to work but has not received a pension or any compensation. The family is without a regular income and suffers extreme hardship. Marama enjoys attending school and her favourite subject is health. When she is not at school she loves to read story books, science and english. Marama travels to school each day by bus. When she grows up, Marama wants to be an air hostess. Marama is a bright girl who always tries her best. Really has improved in all her subjects and is showing a love of school work. Marama received the progess award for 2010. 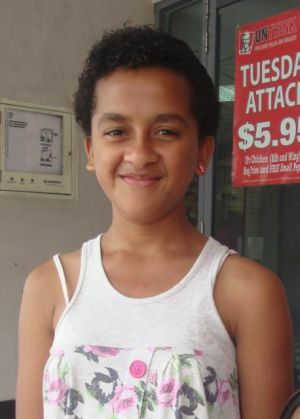 Marama is currently seeking a sponsor to ensure she can continue her schooling. and some of her siblings.